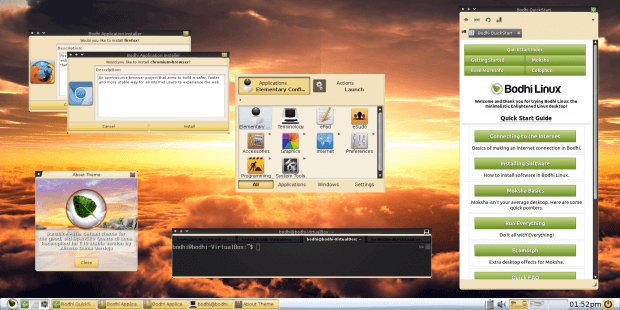 Thank you for taking the time to check out Bodhi Linux, the Enlightened Linux Distribution. 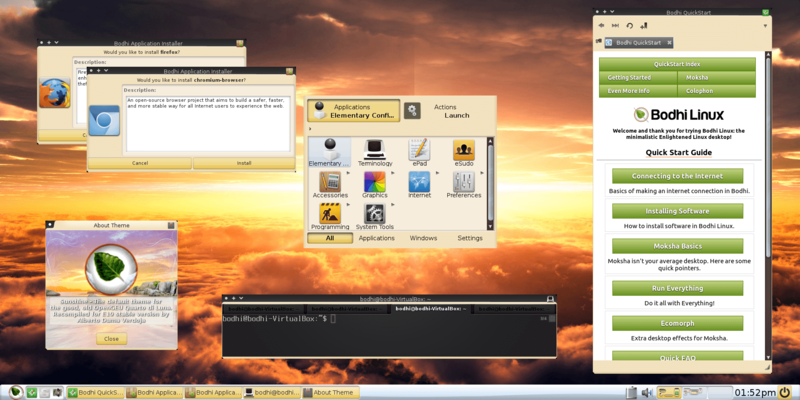 Bodhi is built on top of the latest Ubuntu LTS release featuring the Moksha Desktop. 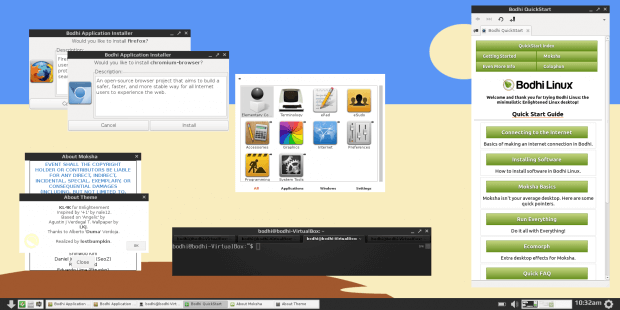 Here you will find all you need to know about Bodhi as well as links to additional resources, like our AppCenter for your software and styling needs and our Wiki to help you out. We also have a very active and friendly community, check it out for yourself on our Forum and in our live chat. We hope you’ll enjoy Bodhi! 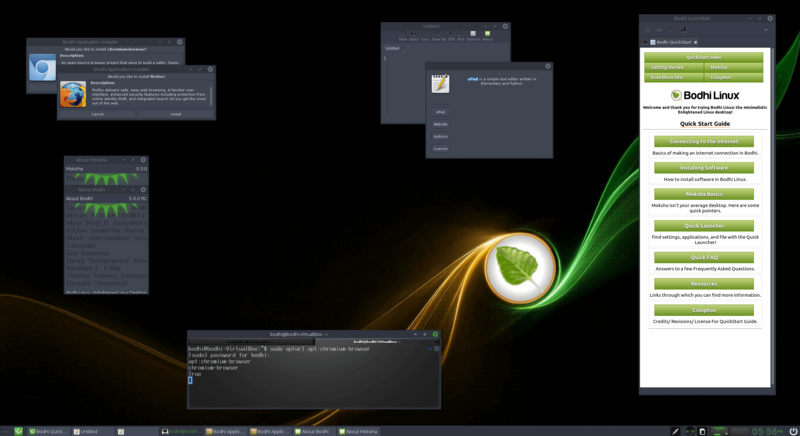 Bodhi Linux 5.0.0 Distro Watch Review - For a reasonable and fair review of our latest release, be sure to check out Jesse Smith’s review on Distro Watch here. 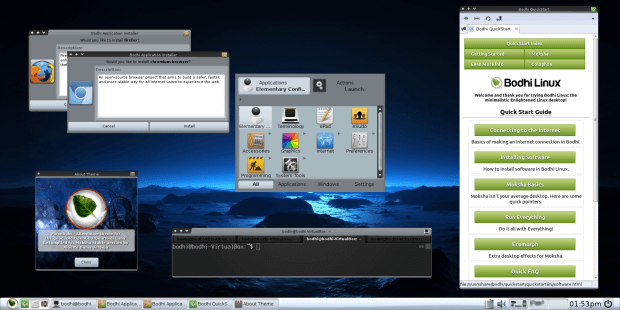 Bodhi 5.0.0 Video Overview - The YouTube channel the “Linux Scoop” just published a wonderful video overview of Bodhi 5.0.0. Enjoy below!